Do You Know Where That Is?! 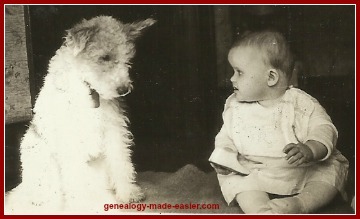 Family history forms will be the backbone of your genealogy efforts. You will use them in many different ways, all of which are to help you maintain some order in your genealogy researching. Genealogy worksheets come in many different flavors. It depends on what particular aspect of your research you are trying to organize as to what kind of a form you need to buy, download, or create. Let's take a closer look at some of these forms. Are you working on census research at the moment? Perhaps you are trying to organize a trip through census records. Who do you need to look for? What census are you checking? Who do you already have for that census? Where are you going to look for the information? When you find the information, how will you record it to keep for your records? So, you need information on family history forms used specifically for census research. Birth, marriage, and death registrations are a very important area of research in genealogy. You will definitely be looking at these records. But, when you go to do your lookups for these items, do you have a neat list of whose birth, marriage, and death records you are looking for? Do you know if you already have the death registration but are still looking for birth and marriage records for Uncle Harry? Do you know where you are going to look for these records? Will you get home with duplicates for some and still not having looked for others? Again, you need to have family history forms to record all this information before you go looking. Who do you have, what do you have, where are you going to look, where have you already looked unsuccessfully? For the records you have found, where did you store them? Can you find them again? Buy, download, or create all the forms you need for vital records information. Another area in which you will likely be doing research for your family tree is that of legal documents such as wills and land records. Again, you will need to keep track of where you have searched, what you found, what you are still looking for, and where information you have found is stored in your genealogy papers. Do you have a stash of family letters or mementos? Perhaps other members of your family have such things? When you are searching for such items and collecting the information they offer, you will need to use genealogy worksheets again to keep track of everything. How do you keep track of all the genealogy resources you come across? Some resources are obvious, such as using the vital records. Some are not so obvious, such as a book someone else wrote about the area and times when your family lived there, and which contains information about your family along with that of others. When someone suggests a new resource to you, what do you do with that information? This is a time for more family history forms. Research information includes tips and hints on how to do things in genealogy - for instance, how to take digital photographs of old records, pictures, and the like. You will find these tips in many different places such as the newspaper, on web sites, from a class. What do you do with those tips? When you need the information on digital photography, do you know where it is? A large area where forms will save you much time and effort in your genealogy research is research organization. You can have all these other forms, books and books of information, digital photographs by the hundreds, and photocopies by the ream, but there is one big issue. Can you find the specific piece of information when you need it? That is genealogy research organization. All of this talk of using family history forms in your research is moot unless you have some sort of a plan for attacking the whole family tree research you are undertaking. Without a plan, the use of forms will not save you very much time and effort. Without a plan, you will find yourself retracing your steps again and again. Without a plan, your research becomes very much a hit and miss approach. The sooner you start organizing, the easier it is. No - really - I mean it. Think about catching up on 100 items. Argh! Now, think about doing that for 10,000 items!! Start Now - Don't Delay - Just Do It!